I opened the big box and what do I see? Four sleek, black wetsuits for me! Since my previous wetsuit no longer does triathlon, I asked the good folks at Trisports for not one, not two but four wetsuits to pit against each other. I do this for you my 21 readers, so that you can select the most dominate wetsuit to dominate in. And maybe so I get into the pool more then once a week. Let’s not forget that part, but really, it’s all about you. Since I’m limited on time, I chose four wetsuits that seemed like fast suits based upon what I know about wetsuits. These suits also seemed based upon sizing charts to be good fits. From my previous testing we know most suits will fall within a fairly narrow window. The goal of this testing will be to see which suit is the fastest of this selection and hopefully gain some fitness in the process. Once again I’ll be doing cross over testing swimming each suit two times. The first suit will also be the last suit tested in order to reduce increasing fitness from influencing the results. I’m in pretty decent swim shape right now based upon last weekend’s triathlon although in review of the swim, those guys blew me off their feet in the last 150 meters. Currently I’m a one speed wonder in the pool. recent 100 repeat times have been on average :02 faster then I’m holding for 400 and 500 repeats. 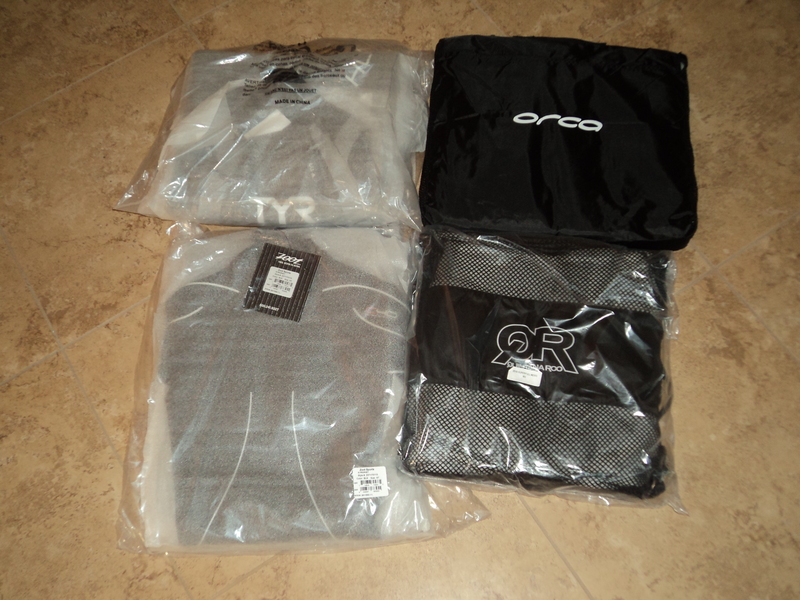 The four suits I chose were the Orca 3.8, QR Superfull, the TYR Category 3 and the Zoot Prophet. I’ll be posting results here soon. The goal is to get this testing done fairly quickly. Sarah and I don’t count are “readers” so you are down to 19. My De Soto ripped the other day and it’s a pain to get off…..so did you ever do your testing? How come you did not include the 19 or Helix in your group? Side note: did you delete your test results from years back or are they buried in the archives? Thanks – Dave Bassler.